I had the pleasure of interviewing Lindsay Cooke, LMHC a Licensed Mental Health Counselor in the state of Florida. 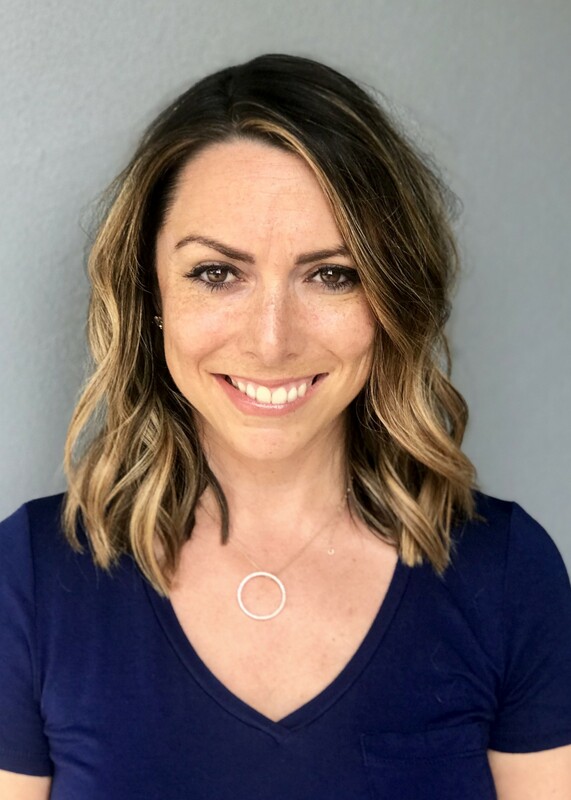 Lindsay has worked in the addiction and mental health field for the past 8 years as a Primary therapist in various treatment programs for co-occurring disorders. She is currently working in a treatment program for intensive mental health clients providing Neuorfeedback sessions and Neurorestoration evaluations as well as working at her private practice in Boca Raton, Florida specializing in treatment of addictions, depression and anxiety disorders. I took my first psychology class in high school and I absolutely loved it. Ever since then my main goal was to become a therapist and provide counseling services. I received Masters of Science in Applied Psychology specializing in Counseling from Lynn University in Boca Raton, and I quickly began working in the field. During my schooling, I worked in a community mental health clinic providing group and individual sessions to children in Head Start program, seniors with dementia and adults struggling with mental health issues. After graduation, I began working with adolescent females at one of the states few intensive mental health facilities for adolescent reoffenders that had multiple convictions under the age of 19. I then transitioned to working in the addiction treatment world, which as you can imagine, never dull and it gave me exposure to a broad spectrum of disorders and treatments. Seeing the successes were my favorite part but for every success story there were at least five heartbreaking stories. I am currently working at my Private Practice in Boca Raton specializing in treatment of addictions, anxiety and depression and also working in a treatment program providing Neurorestoration evaluations and Neurofeedback treatments. I have so many interesting stories from my career that it is difficult to pick just one. Working in locked mental health facilities, detoxes, treatment programs and within private practice has been a journey where I see lots of interesting events occur. My best tales are those of successes with clients that have hit their bottom. This happens a lot with addiction — families are drained emotionally and financially, friends have left their side because they have betrayed them countless times and they have burned every bridge in their life. When someone internally recognizes that they have had enough, that is when the work can begin. I have seen people transform their life after 20–30 failed treatment attempts, no family support and nothing left. That is usually when someone recognizes the need — because there is no one left to enable them. Right now, my main focus is my private practice and expanding in to trauma therapy. I am working on getting a certification to supervise Master’s level graduates new to the field of counseling. Providing the Neurorestoration evaulatations and Biofeedback treatments have been very rewarding. There are tons of cutting edge neuro-technology to treat mental health issues, anxiety and stress issues by addressing brain waves and restoring depleted chemicals in the brain. In this day and age, the fact that we are constantly connected to technology creates an imbalance with work and a personal life. Anyone starting a business or working on their hustle is guilty of spending too much time cultivating some type of online marketing plan, catering to clients or your boss by being anxious to answer emails all too quickly. This creates a person with much less time to focus on self-care and disconnection with their work life and can lead to increased burn out. Increased stress can have a profound effect on our physical and mental health. Learning how to disconnect is a core skill in coping with stress and dealing with depression or anxiety. Seeing the surge in articles on mindfulness and meditation makes sense with the increased focus on technology in the past 10 years. It’s necessary to have time where you are disconnected from technology in order to avoid that type of hyperarousal that is the backbone of most anxiety and stress disorders. Whenever anyone becomes too be worried about something overtaking their life, my question is, “What kind of boundaries can you set?”. My first rule to improve mental wellness is to create a healthy boundary with technology. There should be at least 30 minutes a day that you are not picking up that phone. It is important to use that time to focus on the present moment — enjoying friends, scenery, a good book, an exercise class or sitting on the beach. If you find this commitment too daunting, start with 15 minutes where you are not only not picking up your phone but you are also not focusing on the stressors that are inside that phone. The best way to do is to physically shut off the phone for full disconnection. This provides a space for your brain to focus on what is going on in the moment instead of worrying about this work email or capturing that perfect instastory. Ideally you want time in the morning, which is most difficult because of that compulsion to check what happened overnight. I work with a lot of successful people where that isn’t an option for them. If you can’t take 15 minutes in the morning to practice a meditation or to do some quick exercise, then I would recommend night time; which by the way, can be an easier first step. During dinner time having a technology free zone or right before bedtime. This allows you to focus on those around you at dinner and be in the present moment. Studies show that the stronger your ability is to stay in the present moment the better your focus and attention the higher your productivity will be at work. THerefore, it is actually improving your work output by putting the phone down for that hour. If you notice, there is a large trend in apps like Facebook actually creating a setting where it will alert you that you have spent too much time on that specific platform. There will be an increase in this type of boundary going forward because of the reliance on technology. A second thing I would recommend to create a positive balance is not pushing all notifications to your phone. We all know when that cell screen lights up we habitually stop what we are doing and stare at a our phone. Having less notifications can decrease our urges to pick up our phone. Scheduling disconnection times is key in creating a healthier balance between life and technology. I personally use an app offered from AT&T that has been amazing in blocking robocalls. It has been incredibly effective at blocking spam calls. Also, always be mindful what you are signing up for and read the fine print. Sign up for the Do Not Call list. Like I mentioned earlier, Facebook is currently offering a new feature to create blocks on how often you are using their site. This may be the start of a larger trend. Other ways to create a healthier relationship, is to not have the app on your phone. I have noticed an increase in people taking the facebook or instagram app off their phone so they have to take extra steps to look at their feeds. It may seem small to have to click on Safari to type in facebook but because of the increase in steps, it has helped change the habit of blindly staring at social media. Finally, you can always create a boundary with the app, only allowing yourself to check it at certain times a day and also eliminating the push notifications associated with the app. Starting the day with a gratitude list, a meditation or just engaging with others around you can set a tone for a calmer day. When we wake up staring at our phone we are already beginning to worry about what others are doing around us — this can create a negative schema where the focus shifts to what others are doing. My suggestion would be to place your phone in a charger further from your bed, decreasing the availability of your phone in the morning. Again inputting extra steps or boundaries to check technology can change the current habit. This is such a difficult question! I have tons of favorite quotes that I use to apply based on the situation. A great quote is Get up Dress up Show up and Never give up. It’s so accurate! At the end of the day, no matter what is going on — the sun comes up another and its important that we always wake up, look our best and move forward. And notice, in there it didn’t mention Get up, Check your phone and Show up. This is a tough question. I’m not sure of one specific movement but an overall trend I’m liking is the focus on holistic health. The increasing awareness in our society on the mind-body connection is so important because I think older generations have really minimized this fact. The focus on eating healthier foods with less chemicals, health drinks and juices, exercise and emotional health is amazing. I have a website www.LindsayCooke.com or they can follow me on instagram @LindsayCookeLMHC or on my Facebook business page, Lindsay Cooke, LMHC, PA.